Juan with Blue Elm Photography is a true gem. He goes well beyond capturing a great shot. He has a designers eye that I believe allows him to create some of the most stunning portraits I have ever seen. What sets him apart is how he sees the world. He does not just capture “the shot” he captures the experience. Juan is amazing! He has such a passion for capturing moments for his clients! It’s very contagious! He takes his time and is very generous. Juan did proposal pictures for my husband and we loved his work so,we had him do engagement and wedding pictures too! Awesome person! My family had a wonderful experience with Blue Elm photography. Juan is a very passionate person/photographer who is very knowledgeable in his field and cares deeply for his profession and the people he photographs. My son is extremely shy with males and I was very skeptical at first, but Juan overcame this with his outstanding patience and and playful attitude. I was overly surprised at how many great shots we had to choose from, which is very hard to do with my son’s temperament. Juan was able to capture the natural spirit of my family throughout the whole shoot and has an incredible ability to find unique perspectives for beautiful shots. The images were of very high quality and surpassed any professional photos we have had done in the past. We had so much fun doing our engagement pictures with Juan! Thank you so much! All our friends and family went crazy after seeing the pictures. He was so fast and most nature. I’m so thankful we were able to book him for our wedding in July. Juan took his time and put forth every ounce of expertise to make our session an absolute success. I felt comfortable and relaxed with Juan and I trusted him to deliver quality prints with every shot!! I’m thankful to know him on not only a professional level but also as a friend. I would recommend Blue Elm Photography to everyone!! Absolutely, Amazing! Juan is uber talented and so laid back and friendly to work with. We love our pictures! Amazing talent and a blessing to work with! Juan is artistic, imaginative, endearing and gifted. We couldn’t be more pleased with his work! We will treasure the photos he has taken of our family for years to come- and will continue to use him to capture our most precious moments!  Our experience with Blue Elm Photography was top notch.  From beginning to end, we were treated professionally and very kindly. We had two sessions with Juan, who took our newborn’s photos and our family photos. He was fantastic with our baby. I did not feel hurried with the baby session in any way. We took our time and the end result is beautiful. Our family session was a lot of fun. We are so happy with our photographs They are such wonderful quality and will serve as beautiful memories for years to come. We will continue to have Juan photograph our family in the future. I highly recommend Blue Elm Photography, they are a joy to work with! Blue Elm Photography Did our engagement and wedding photos and portraits. We could not be happier with the resulting product. Juan was professional and so creative with the different images he captured. There are so many great moments captured, both candid and portrait form that are so precious to us. We will treasure these images forever. Thank you Blue Elm for the hard work and for giving us images that will live in our family forever!